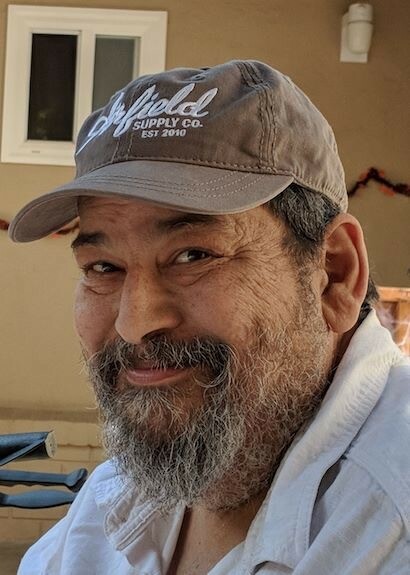 Vincent Alan Bondurant, 57, passed January 21, 2019 in San Jose, CA. Vince lived his life exactly as he wanted, surrounded by family. Vince was born in Tulsa, OK on December 22, 1961 to Rosalind Inbody and Larry Bondurant. He rocked out to the tunes of Led Zeppelin, KISS, Lynyrd Skynyrd - to name a few, and enjoyed riding fast on his motorcycle and ’68 Chevy Camaro. This led him, by fate, to meet the love of his life Hayley one afternoon cruising in that ’68 chevy by Blackford High school in San Jose,Ca. He always said, he knew immediately he was going marry her. They went on to have 3 beautiful children Anthony Bondurant, Christopher Bondurant and Tasha Bondurant. Throughout the years he held a successful career as a chef, leading several restaurants in the Good Earth Franchise. He later decided to follow his passion of computers and gained a degree in IT from Stanislaus University in Turlock, CA. He ran his own IT company BonTech and contracted work with companies including Hewlett-Packard and ATT. On October 21st, 2012 he became a proud and loving grandfather to his granddaughter Kamea. He dedicated his time to spending any moment he could teaching her, playing with her, doing yoga together and having long conversations about whatever she wanted to talk about. This was one of the most joyous times in his life. Towards his last years of life he found peace in meditation and Buddhist teachings. He is preceded in death by his grandparents, Guy and Margaret Inbody, Robert P. And Winona Bondurant, and Gene and Ruth Bollinger of Tulsa, OK. He is survived by his wife Hayley Bondurant, children Anthony, Chris and Tasha Bondurant and his granddaughter Kamea. His parents Rosalind and Donald Bollinger and his sister Dalane Bollinger. The Celebration Of Life Ceremony will be held at Darling & Fischer Memorial Chappell at 231 E Campbell Avenue, Campbell, CA 95008 on January 30, 2019 at 12PM. In lieu of flowers, you are welcome to plant a tree in Vince’s Honor. Please go to http://thrtreesremember.com/ for more information on how to do so.